When you are over-qualified for a job, the first concern is that you'll be bored and leave for something better as soon as you can. In the HR world, turnover is a bad thing. It's estimated that it costs 130% of an employee's salary to replace them. So, each time someone leaves voluntarily, it costs the company money. Therefore, the goal is to hire someone who will stick around. The result is a focus on someone with just enough experience to get the job done. The only way to fight back against experience discrimination is to hit the employer's concern head-on. When they say, "You're over-qualified." You need to respond with these five words: "What concerns you about that?" This will force them to share their reasons for not wanting to hire you. At which point, you can now address them. You'll need to be sincere and give them good, solid reasons why you won't ditch them for a better offer down-the-line. So, if you can't do that, I wouldn't suggest asking. Notice the advice above has you asking what the concern is about your experience as opposed to suggesting you dive in and start telling them you won't leave them if something better comes along. That's because part of shifting the mindset successfully begins by having them articulate the concern. You need to let them state it so they know you heard them and then you earn the right to respond. If you don't, you'll come across as attacking their opinion without understanding where they are coming from. That will certainly guarantee you don't get the job. 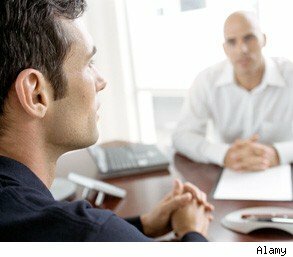 Dealing with experience discrimination can feel frustrating, but if you follow the technique above, you'll at least have a shot and changing the hiring manger's mind. As a job seeker, you are a business-of-one who must sell your value to an employer. That means overcoming objections so you can get them to choose you. Use the advice above, and the next time you are told you are "over-qualified" you just might change the hiring manager's mind and get the job!